I was supposed to post this yesterday but then Bella had fever. Good thing she is already okay today. We even went to see her doctor and we are glad that she is totally fine now. 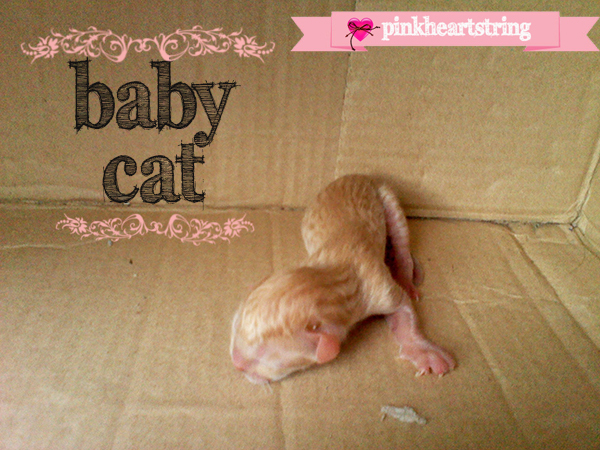 Well, I would like to share to you that a cat just gave birth yesterday. It isn't our cat. We do not know who owns the cat but we just feed her because she always sleep with our dogs. They are friends with our dogs. So, she is kinda adopted. 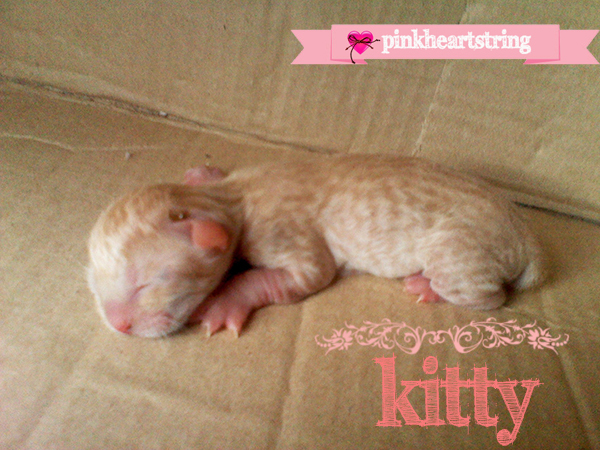 lol Yesterday, she gave birth to two cute kittens. The sad news is that the other one died. But at least, there is still a kitty left. They sleep beside our dogs. When the mommy cat is away, the dogs watch over the baby. They sniff around it and just lay down near the box. The mommy cat doesn't want to sleep on a different area. 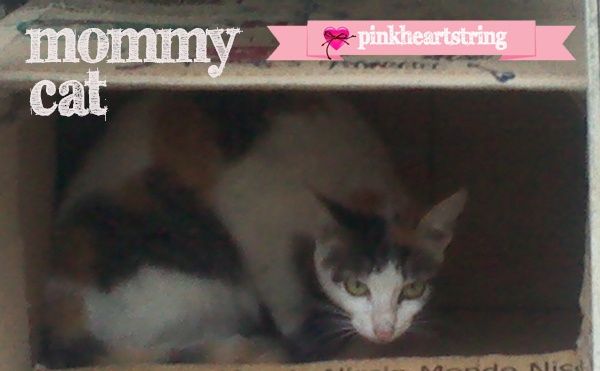 We tried to transfer her but she wants to stick to that box and to sleep beside the doggies. Oh well. So, let it be. Bella was so happy to see a "baby cat". She wants to stay outside all the time to watch the kitten. I'd like to share to you some photos of this kitten. Look at her head. It's so cute. Her claws are already showing. She is reddish and she looks so soft. I was scared to touch her because I'm afraid I'll hurt her. In this picture she was moving gently. I guess she was looking for mommy. Mommy cat left for awhile because she cleaned herself. Now, tell me. Isn't this kitten super cutie? Let us see how she will look like when she grows days older. Look at mommy cat! She is so protective of her baby which is of course natural for a mommy. Even cats can show their love for their little ones. 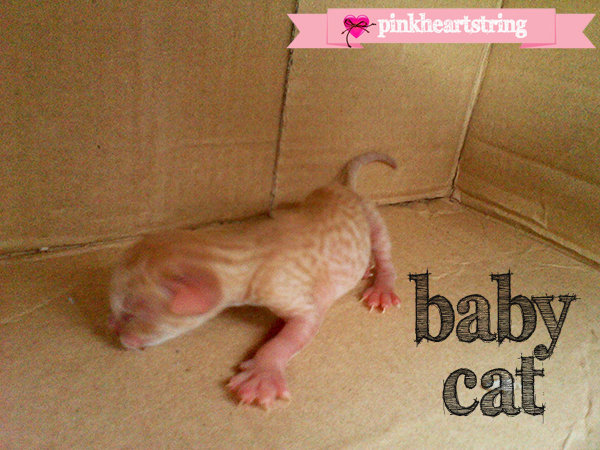 I just got excited about the arrival of this kitten and so I decided to share it all to you. I saw your blog. 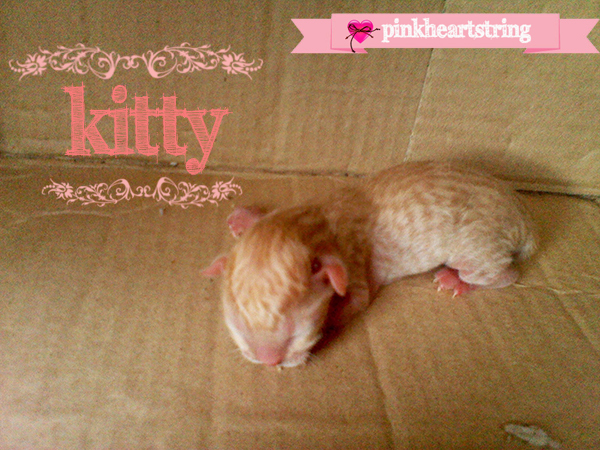 You also had a new kitty!lol. Thanks for checking my blog :) Hugs! How sweet! I love little baby animals! Awww, too cute! Congrats on your new family member (even if you didn't choose the cats!). We inherited a rabbit in a similar way. Our neighbors moved out of state and left it behind. That kitten is so adorable! This post made me smile ear to ear! I love it! Thanks so much for sharing and also for linking up with us at the Mommy Monday Blog Hop! I hope you come back and network with us week after week! It looks like I'm already connected to you via twitter and facebook. I will add you on Bloglovin!